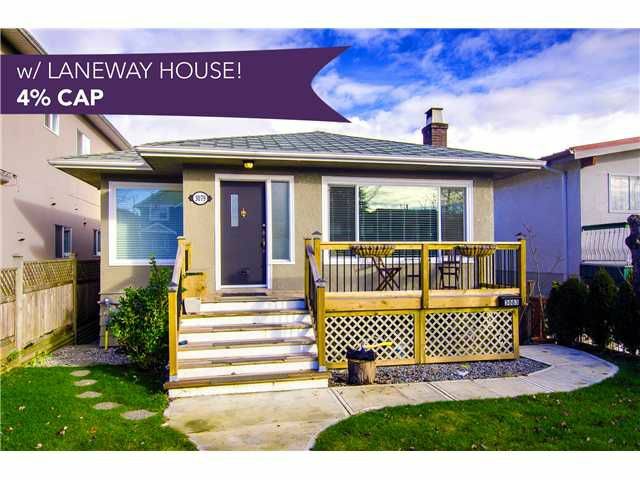 Incredible INVESTMENT opportunity in desirable Renfrew Heights. 4% CAP rate! Fully reno'd bungalow w/ 3 sources of income earning $4755/mo. Beautifully restored home, gorgeous high ceiling 2 bed bsmt suite + 2012-built 2 bed LANEWAY HOUSE!All new electrical, new plumbing, in-floor heating in bathroom & kitchen, new appliances, granite counters. Modern living w/ a vintage charm. Every nook & cranny of this property is maximized for best use w/ tons of storage & thoughtful touches. Laneway has separate address, & each suite has its own in-suite laundry, dishwasher, personal & secure outdoor storage locker + dedicated outdoor area. FLOOR PLAN available. Upper suite vacant soon. May have MONDAY MARCH 2nd (daytime) showings available.